The 'discovery' of the Americas in 1492 signalled one of history's most profound cultural decimations. Although today, the savagery of such conquest might appear alien to us, as we sift through the fragmentary remains of pre-Columbian history, we reveal that it is still only ourselves we have to fear. The Mystery of the Cocaine Mummies. The Costa Rica Stone Balls. Piri-Reis: The First Map of the America's?. When were the America's First Colonised. There is no question that the Americas were populated for a long time before Columbus' arrival in 1492. The focus of debate today is centred on suggestions that the Americas had been colonised by people from what is generically termed the 'old-world'. 'A team claims to have found 22,000-year-old stone tools at a site in Brazil, though other archaeologists are disputing the claim. Christelle Lahaye of Michel de Montaigne Bordeaux 3 University in France and colleagues excavated a rock shelter in north-east Brazil and found 113 stone tools. The team dated the sediments in which the tools were buried using a technique that determines when the sediments were last exposed to light. Some tools were buried 22,000 years ago – thousands of years earlier than any known human colonisation of the Americas'. 'South America's Oldest Textiles Identified With Carbon Dating'. 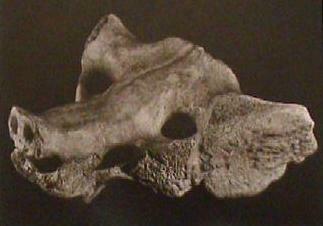 The now fossilised, worked bone in the photo (above), was found nearly 40ft deep in upper Pleistocene deposits dating from about 10,000 - 8,000 BC, at Tequixquiax, in the north of the valley of Mexico. Height 6 inches (15.4cm). (Present location: Museo Nacional de Antropologia, Mexico). Numerous Palaeo-Indian cultures occupied North America, from around the Great Plains and Great Lakes of the modern United States of America and Canada, as well as adjacent areas to the West and Southwest. According to the oral histories of many of the indigenous peoples of the Americas, they had been living on this continent since their genesis, as described by a wide range of traditional creation stories. However, genetic and linguistic data connect the indigenous people of this continent with ancient northeast Asians. Archaeological and linguistic data has also now enabled scholars to determine some of the migrations within the Americas. Much has been written about the American Indian lifestyle, but the portrayal of Indians as war-painted savages still prevails in literature and on the screen. Sadly, many of the most important aspects of Indian lifestyle have been washed over in the course of providing this more commercially popular (and easier on the conscience) image of them. However, it is these very aspects of their lifestyle that are now recognised to be of such value in the way we perceive our relationship with the world today. Estimates on the American Indian population before European contact range from between 2 and 18 million. By 1890, only 250,000 native Americans remained. (1) The total death toll has been estimated at around 100 million American Indians from the time of Columbus' arrival to the end of the Indian Wars 400 years later. One of the most significant realisations from Meso-American archaeology is that several well-formed civilisations appear to have risen to greatness, only to disappear seemingly overnight from historical record. This same cycle of the 'rise-and-fall' of civilisations can be seen to be repeated around the ancient world, making it one of the most pertinent questions of prehistory, and one which perhaps deserves more debate in this time of global angst. 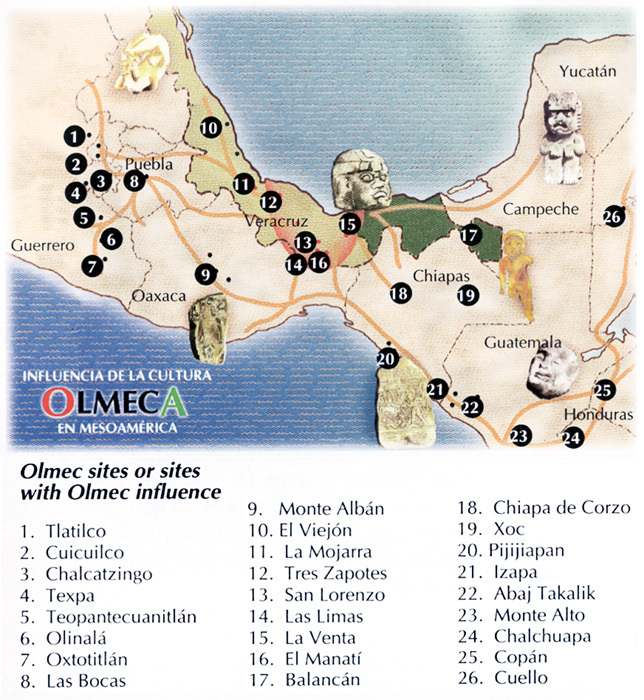 The Olmecs: (c. 1,500 BC - 400 BC) - The Olmecs were one of the first proper civilisations in Mesoamerica. Their culture is epitomised by extraordinarily lifelike and dynamic statues of people and several large carved Stone-heads. If the Olmecs are to be in any way gauged on their art, they appear to have been an almost multi-cultural society, with several genotypes present, including Oriental, Negroid and European (bearded). They are also the first culture to use the now-famed 'long-count', later adopted by the Mayans. The Long-count has a start date of 3,113 BC. 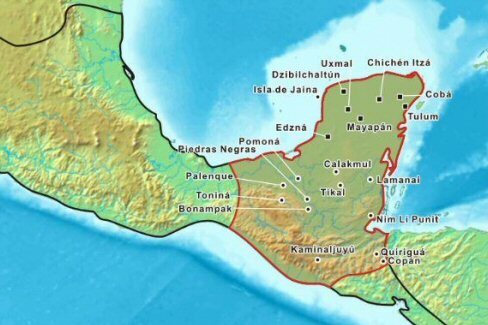 The Zapotecs: (c. 600 BC - 700 AD) - The Zapotec civilisation flourished in the Valley of Oaxaca of southern Mesoamerica. Archaeological evidence shows their culture goes back at least 2,500 years. They left archaeological evidence at the ancient city of Monte Albán in the form of buildings, ball courts, magnificent tombs and grave goods including finely worked gold jewellery. 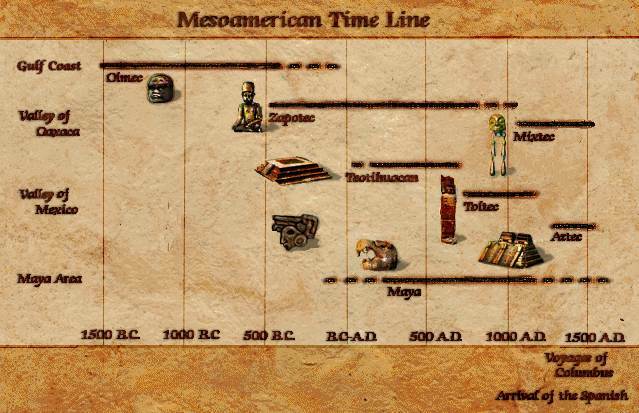 They had a form of writing which is considered (along with another possible Olmec script), to be the predecessor of Mayan, Mixtec and Aztec writing. 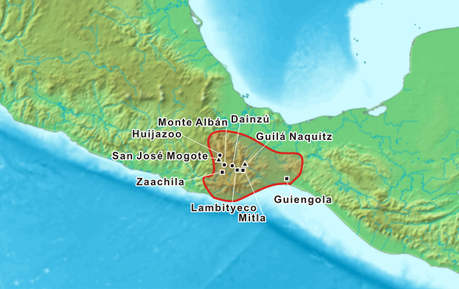 Monte Albán was one of the first major cities in Mesoamerica and the centre of a Zapotec state that dominated much of what is now the Mexican state of Oaxaca. The Mayans: (c. 2,000 BC - Present). There is some debate over when the Mayan Civilisation began. The Mayan chronology is now divided into three periods of time; The Pre-Classic (c. 2000 BC - 250 AD), from which we still have the remains of the largest pyramid in the world 'La Danta', at the 'Cradle of Mayan Civilisation' - El Mirador, Guatemala; The Classic period (c. 250 - 900 AD) which can be considered as the 'Temple building phase', and the Post-Classic (900 AD - Spanish conquest 1492). The Mayan culture is noted for having the only full written language in Pre-Columbian America., as well as being highly skilled in astronomy, mathematics, and for their uniquely imaginative art. The Mayan peoples never disappeared, and today their descendants still form sizeable populations in the Mayan lowlands, living with a mixture of Pre and Post Columbian ideas. Incas: (c. 1,200 AD - 1,520 AD) The Incas were the largest and the last of a complex of Andean civilisations formed primarily from the ancient Tiahuanacan and Peruvian cultures. 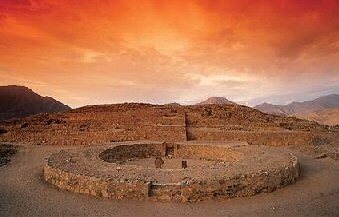 The earliest traces of cultures in Peru are found in the Caral-Supe culture on the northern coast, predating the Olmecs by at least a millennium (c. 3,500 BC). Inca tradition spoke of the founding Inca male and female coming to Cuzco from the 'Island of the Sun' on Lake Titicaca, nearby. (4)Other important Peruvian cultures include the Chavin, Nazca, Moche, and Tiahuanacan. 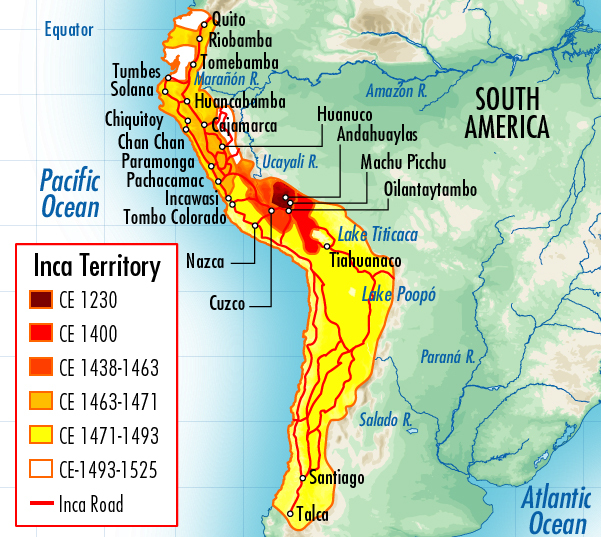 The Inca culture is typified by its cyclopean masonry and networks of roads. Their king was considered the 'Child of the Sun'. Aztecs: (c.1,400 AD - 1,520 AD) The world "Aztec" is the Nahuatl word for "people from Aztlan", (14) a mythological place for the Nahuatl-speaking culture of the time. The Aztec empire arose only a hundred years before Cortez arrived and decimated it. The Aztecs borrowed much of their culture from the Toltecs, who in turn took influence from the Teotihuanacans, all located in the Valley of Mexico. The ruins of the capital city of the Aztecs, Tenochtitlan, are located in Mexico city. The Aztec empire is marked for the practice of human sacrifice (as were the Mayans). When Cortez arrived, he found a culture saturated by their own blood, who believed they had to sacrifice to sustain the path to death. The Atacama Desert in Chile is officially the driest place on Earth. 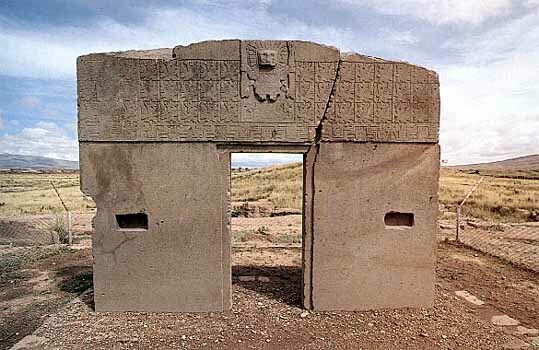 Ironic then that a recent discovery has revealed the presence of a vast complex of structures sitting right beside the largest petroglyph in the world (The Atacama Giant), and lying buried beneath what can only be very ancient flood events. At 2,600 BC, this is the oldest centre of civilisation in the Americas. A quipu (the knot system used in Andean civilizations to record information) found on the site testifies to the development and complexity of Caral society. The city’s plan and some of its components, including pyramidal structures and residence of the elite, show clear evidence of ceremonial functions and monumental architecture, including six large pyramidal structures. The Thirteen Towers of Chankillo run north to south along a low ridge within a fourth-century B.C. 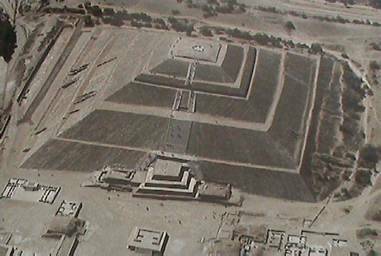 ceremonial complex in north coastal Peru. They formed an artificial toothed horizon that spanned the annual rising and setting arcs of the Sun. At present, the culture that made them has not been named. In what is now the state of New Mexico in an area known as Chaco Canyon are the remains of an elaborate development of the Anasazi people who lived in the region from about 500 to 1300 AD. Some 120 meters (400 feet) above the canyon floor near the top of an outcropping known as Fajada Butte, three slabs of sandstone were placed against a rock wall creating a shaded space. 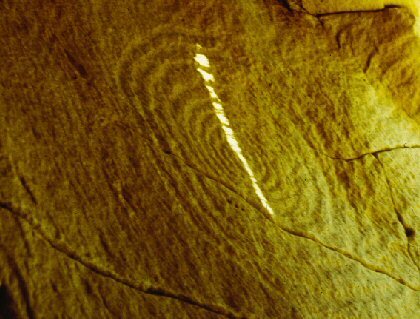 Carved into this shaded wall are two spiral petroglyphs, one large and one small. Sunlight passes over them at various times throughout the year as it streams through chinks between the sandstone, but it was not until the 1970s that their true purpose was literally illumined. Chavin du Huantar, is an unusual complex of steeply walled platforms, honeycombed with stone-lined passages surrounding a sunken plaza. It is unique amongst Pre-Columbian temple groups. The principle edifice, called 'The Castillo' is faced with cut-stone blocks in courses of varying widths. 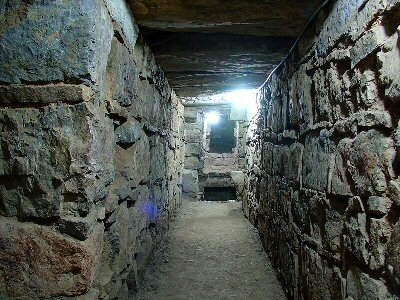 Inside the core are at least three irregular storeys of stone-lined galleries, chambers and ventilating shafts. Chichen Itza - (Abandoned Mayan city). 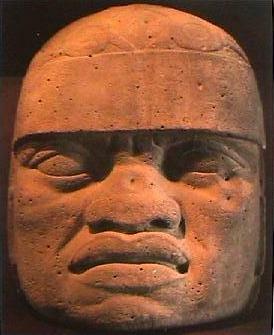 The Olmecs - The First Multicultural Society.? This Pre-Columbian Inca mountain citadel was only rediscovered in 1911. It shows several strong indications of astronomical observation. The structures are built from white granite, with blocks reaching up to 3.7 metres in length. Location of the "The Hitching Point of the Sun" because it was believed to hold the sun in its place along its annual path in the sky. 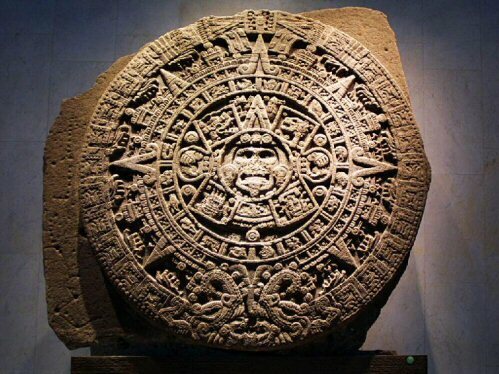 At midday on March 21 and September 21, the equinoxes, the sun stands almost above the pillar—casting no shadow at all. 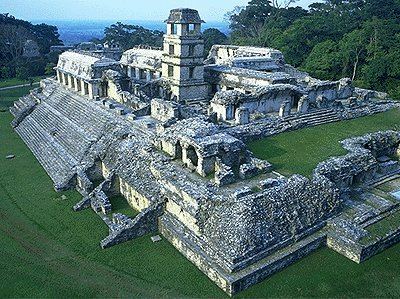 'The entire city of Palenque was solely a priestly centre, a place of pilgrimage'. (8) The city is laid out in the shape of an amphitheatre, with a central pyramid. 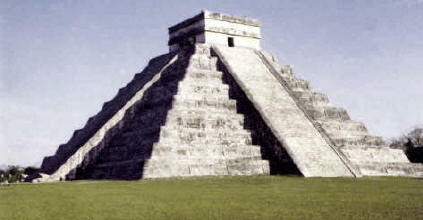 The city was deserted in the 8th century AD, along with several other Mayan centres. Archaeologists estimate that only 5% of the total city has been uncovered. San Agustin, Columbia: (Megaliths and Hypogea). The San Agustin archaeological park in Colombia includes a wide variety of stone sculptures (Megaliths), mostly carved between AD 100 and 1200. In the park are an amazing array of separate stone sculptures, in the shapes of animals and warriors and human faces, some mythical, some realistic. They are carved out of volcanic rock - some are over 4 meters tall and weigh several tons. The site, excavated by K. Th. Preuss during the 1940s, has been declared a World Heritage Site. Teotihuacán - (The 'City of the Gods'). 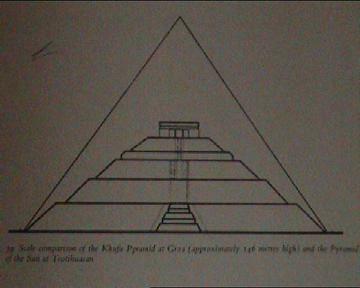 The Pyramid of the sun (Left), has the same base dimensions and half the height of the great pyramid in Egypt. 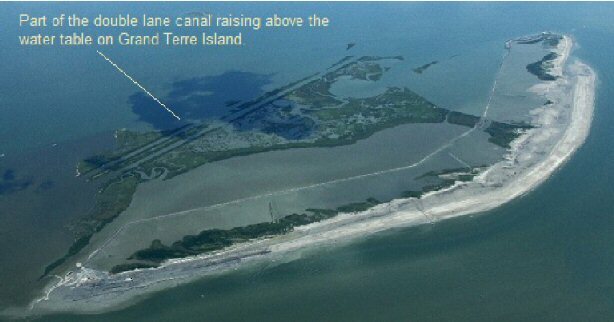 The realisation of extensive ancient canal systems, harbours, quays and other (now underwater) earthworks in Florida and Louisiana has certainly raising a few eyebrows and has inspired debate as to their origin. Some of the canals are 5ft underwater, leading to claims of their being onwards of 7,000 years old, which is a considerable way from the first serious attempts to build American canals in recent times at around 1780, following independence from Great Britain, but is supported by discoveries of burials of humans in Florida at the same time, as evidenced by the remains of the 167 Windover 'Bog-people' bodies dated c. 7,000 BP. Of most interest however, are those canals that are reported as being underwater, as they suggest the existence of ancient and unknown culture. 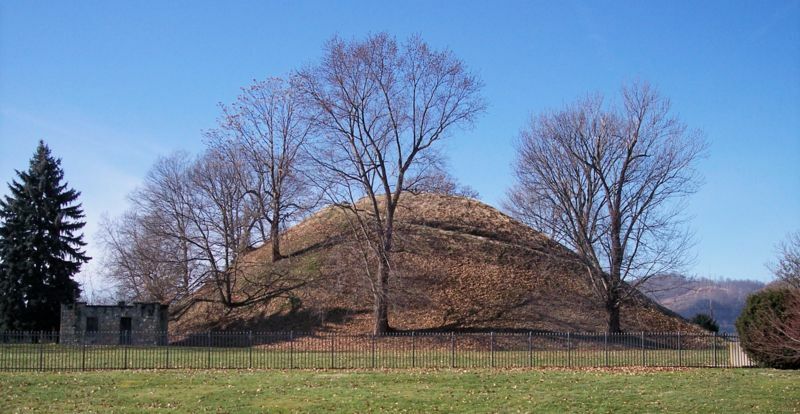 Grave Creek Mound, Moundsville, (c. 200 BC). One of several funerary mounds in the area. The Inscribed stone from Grave Creek Mound: When the mound was opened in 1838, by Mr Tomlinson, the owner of the land, he found skeletons, adorned with plates of mica, copper rings and ivory beads, along with 'The Inscribed Stone'. Although this stone has caused much debate since its discovery, it seems that there is little debate over its existence (As it is held by the Smithsonian Institute). It is classified officially as an 'anomalous artefact'. Original Lithograph: Thomas, 'The Cherokees in Pre-Columbian Times'. (1890). The earliest radio-carbon dating of the North American 'Mounds' is at 3,400 BC, while in Meso-America, the earliest evidence of such mound building is seen in the 'Proto-Pyramid' complex at Caral-Supe in Peru, which has been dated to 2,600 BC, the same time that the first pyramids were being constructed in Egypt and the Middle-east. The existence of pyramids in the Americas has often been suggested as a significant proof of contact between people from the 'Old' and 'New' worlds. However, this claim has been reasonably contended with the argument that the similarity in shape proves no such thing, and that such claims can only be validated by providing through substantiating proof, such as cultural, botanical and more recently, genetic research. Whether through accident or design, it is a fact that the 'Pyramid of the Sun' at Teotihuacan has the same base dimensions and is half the height of the 'Great' pyramid at Ghiza. 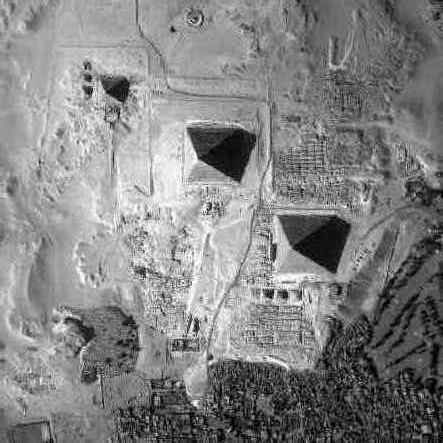 The layout of the two great pyramid complexes have also been compared. Further similarities become apparent when we look at the similarities of 'function' between pyramids from the two cultures. We know for example that there was an astronomical association in both cultures. 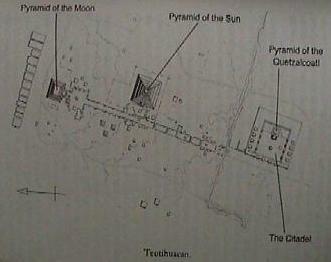 Van Sertima notes that 'When pyramids appear in America in the Olmec culture they are orientated astronomically'. (3) Of course, the fact that the Babylonian ziggurats and Egyptian pyramid were also built by 'Solar' worshippers is just one of the many other cross-cultural similarities that can be seen. 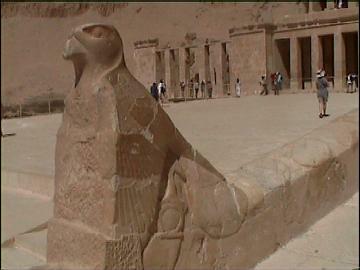 Pyramids and the Feathered Serpent. The Great stairwell at Hatshepsut's Mortuary temple (c. 1,458 BC) includes a huge feathered serpent running down each side of the stairwell. The feathered serpent is a very specific and fundamentally important symbol of both South American and Egyptian cultures. In Egypt during the Middle kingdom, the symbol was generally interpreted as representing a united Egypt (both upper and lower). In South America, the feathered serpent was used to represent the legendary bringer of civilisation Quetzalcoatl, and is first seen in Olmec art c. 1,400 BC. The synchronicity of such a specific dual-symbolism being used in two completely seperated cultures is as equally startling as the similar dates it makes its first appearance. The significance of this map is sometimes overshadowed by the various myths and claims surrounding it. Regardless of the debatable claim that the map shows the outline of the Antarctic continent, there are certain demonstrable facts which make this map potentially one of America's most valuable historical relics. 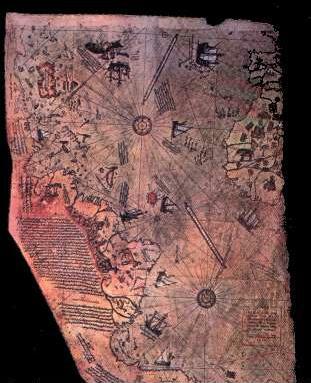 The Piri-reis map (c. 1513), is a fragment of a larger composite map of the world, with its epicentre in Egypt. It was created with a working understanding of longitude and latitude and a system of geometry which allowed the cartographer to accurately draw the outlines of Africa and America relative to each other. The legend on the map dates it to 'Muharran' in the Muslim year 919 (1513 AD), only 20 years after the official discovery of the Americas by Columbus in 1492. The legend itself however, gave claims an origin far older than 20 years, revealing that it was a section of a world map composed from more than twenty source maps, some drawn in the time of Alexander the great, and that 'some were based on mathematics' (7). The map shows the eastern coastline of America. There has been a long-standing prejudice in archaeological circles that transatlantic (or trans-pacific) crossings would have been impossible before the time of Columbus. This prejudice has been based on two basic precepts: Firstly that prehistoric people weren't advanced enough technologically to cross the oceans, and secondly, that having survived an ocean crossing, they would have been 'killed or eaten'. Both of these ideas today appear unreasonably unscientific, but a solid resistance to the idea remains. This seemingly illogical impasse has put the ball firmly back in the diffusionist's court, whose job it is now to find satisfactory archaeological proof of contact between old world and new world cultures. The argument for convergent evolution prevents 'similarities' from being considered, and although numerous artefacts have been produced n the past that appear to have old world provenance, as yet, none have been proven with modern methods. However, until such a discovery is made in a modern archaeological setting, there are several other respected avenues of research that do show evidence of prehistoric oceanic contact. Article: The Azores: A Case for Pre-Columbian Contact. 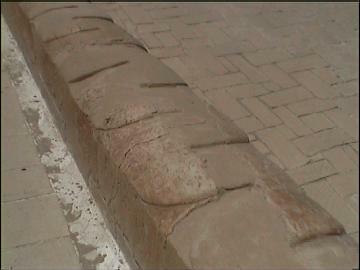 Carved clay platform from eighth century B.C. Megalithic remains. 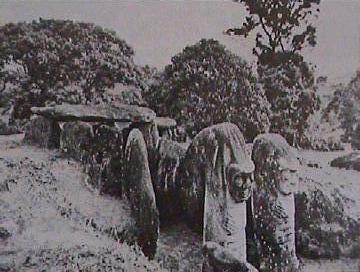 Dolmens, Menhirs, Astronomy etc. Serpent Mound Serpent Effigy Earthwork. Chichen Itza The Calendar pyramid, Observatory. Pyramid complex with tomb of 'Pascal'. San Lorenzo One of the earliest Olmec centres. Tenochtitlan (Mexico City) Aztec Capital City. Ceremonial complex next to Lake Titicaca. Atacama Giant. Newly Discovered Complex beside the Atacama Giant. Ciudad Perdida. Lost and Found jungle citadel. San Agustin. Pre-Columbian concentration of 'Megaliths'. Tierradentro. Numerous rock-carved underground Hypogea. Carved Stone Balls. Several hundred carved petrospheres. El Mirador. Pyramid complex with 'La Danta', the largest pyramid in the world. 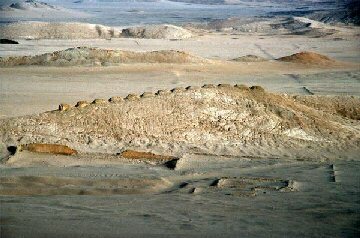 Caral Earliest Pyramid Complex in the Americas. Chankillo Landscape Observatory dated at 300 B.C. Cyclopean complex, network of underground tunnels. Cuzco. Earth Navel and Inca capital. Cyclopean mountain citadel. Astronomical associations. Sechin Alto Complex Complex dating back to 3,500 BC. 1). Barry Fell. America B.C. 1974. Demeter press. 2). A. Collins. Gods of Eden. 1998. Headline press. 4). D. Zink. The Ancient Stones Speak. 1979. Musson Bok Co.
7). Hapgood, Charles Hutchins; Maps of the Ancient Sea Kings: Evidence of Advanced Civilization in the Ice Age; 1997, Adventures Unlimited Press. 8). Lewis Spence, Mexico and Peru, 1994, Senate press. 10). John. D. Baldwin. Pre-Historic Nations. 1869. Harper and Brothers. 11). J. Alden Mason. The Ancient Civilisations of Peru. 1957. Penguin Books. 12). The Atlas of Mysterious Places. 1987.Guild publishing. 13). Frank Joseph. Atlantis in Wisconsin. 1998. Galde Press Inc.
15). Squier, A.M., E.G. ; Davis M.D., E.H. (1847). Ancient Monuments of the Mississippi Valley. Washington DC. Smithsonian Publ. 19).Thorton, Russel. American Indian holocaust and survival: a population history since 1492. 1990. University of Oklahoma Press. 21). G. Hancock. Fingerprints of the gods. Mandarin. 1996.